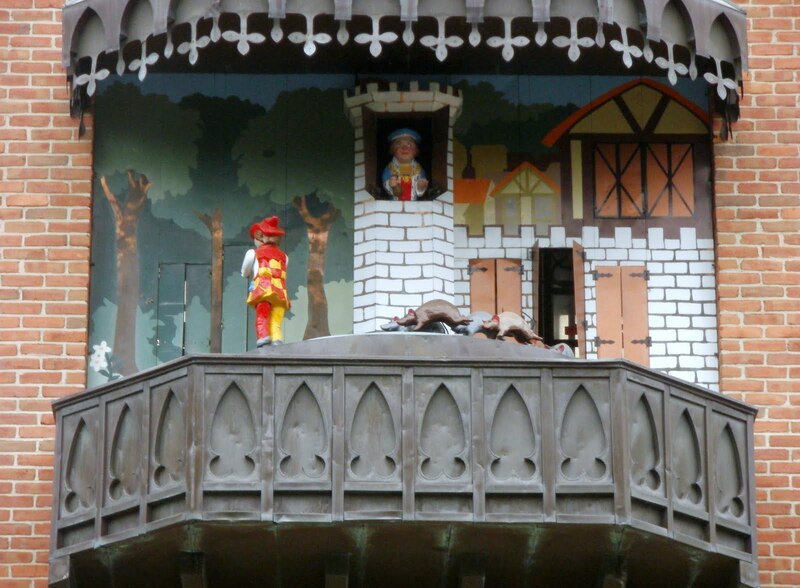 On the strike of the hour, the bells of this glockenspiel (a clock tower with animated figures) ring out and the story of the Pied Piper of Hamelin unfolds. It is the 13th century story of a rat-catcher who was hired to play his silver pipe to lure away all the rats from the village. He did so, but then the Lord Mayor would not pay him. As revenge, the rat-catcher came back to play his pipe again, this time leading all the children out of the town, save one crippled boy who could not keep up. This German folklore is most likely based on the hundreds of children who disappeared from Hamelin during the 1212 Children’s Crusade and who never returned. Other theories suggest that the disappearance of Hamelin’s children may have been a result of the black plague, or the willing desertion of the town’s youth to colonize eastern Europe. Theories vary; even Disney and the Brothers Grimm turned the tale into popular fairytales. 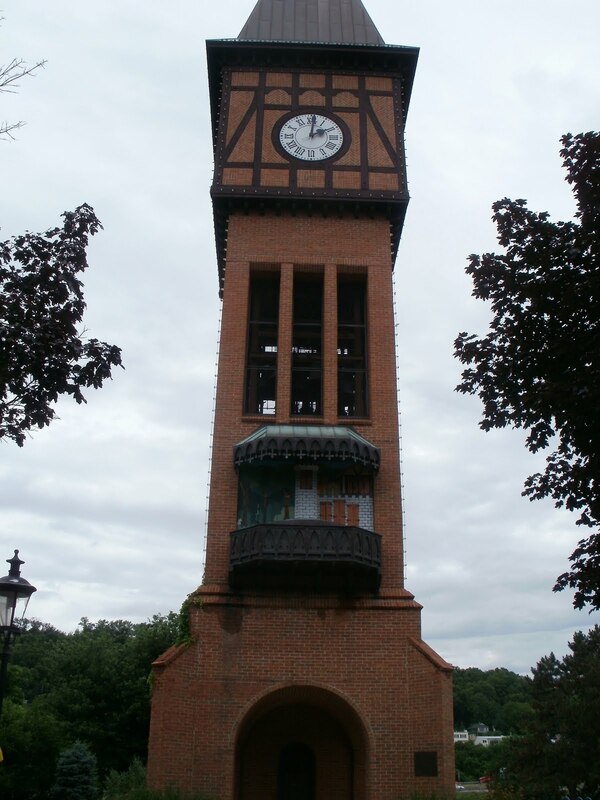 But despite this glockenspiel’s Germanic history, isn’t actually located in Germany. It can be viewed at Mainstrasse Village in Covington, Kentucky where a tape recording tells the tale every hour while the children and rat figurines circle around, following the Pied Piper. Don’t you just love how macabre old fairy tales and fables are? ← Gotta Get Some Goetta! Haha! A morality tale for sure. Here I am, an “elderly” lady and I did not know that!! Very interesting little article. So much tales from Germany. I love hearing the stories.